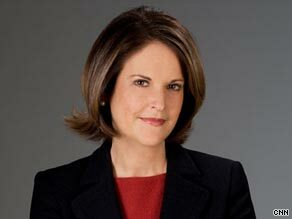 Editor's note: Gloria Borger is a senior political analyst for CNN, appearing regularly on CNN's "The Situation Room," "Campbell Brown," "AC360°" and "State of the Union With John King" as well as other programs during special event coverage. Gloria Borger says President Obama is trying to fix problems that have gone untouched for decades. (CNN) -- In my next life, I'd like to be an opposition party leader. What fun to go to work every day knowing you will always be right, largely because your ideas will remain untested. So you propose theories to your heart's content, with vague plans and proposals guaranteed to make any voter smile. If we were in charge, you sing, the people would have tax cuts! More money in their pockets! And no deficits! But more jobs! And, oh, what about the great pleasure of taking on the poor guy who won? On any particular day, the president is either a socialist (health care), a captive of environmental greenies (climate change) or a dithering commander in chief who disagrees with his generals and can't make up his mind (Afghanistan). Name-calling. Can't beat that for a job. All the while, you -- the "serious" opposition -- continue to intone to the public "we want to work with him, of course." Here's the reason: The opposition strategy is turning a profit. Indeed, the latest Gallup Poll out Wednesday is cause for much rejoicing in the GOP ranks: The generic congressional ballot is in a virtual dead heat. Forty-six percent of registered voters say they would vote for a Democrat for Congress tomorrow; 44 percent said Republican. Considering that Democrats were up 6 percentage points on that question in July -- and up 15 points right before the election, this is good news for the GOP. Not so much for the congressional Democrats and the president. Sure, it's customary for a president to lose seats in the first midterm elections of his presidency. But some have predicted he could lose his majority in the House of Representatives, which would be a legacy killer, among other things. And here's the hidden problem: The real reason that the GOP preference is growing is the new support from independent voters, who now favor GOP candidates by 45 percent to 36 percent, according to Gallup. Before Obama's election, they were with the Democrats. Back in July, independents were split but not anymore. And all of that progress for the Republicans, for doing nothing. So what's a president to do? After all, he's trying to fix problems that have gone untouched for decades, like health care. He inherited one war that seems to be winding down (Iraq) and another that is now his own "war of necessity" (Afghanistan). He can't let mission creep turn Afghanistan into Iraq. And he's got a jobless recovery on his hands -- and a midterm election in a year. How about calling the Republicans' bluff? Instead of going it alone (which is where Obama looks like he's headed), why not make them work? Consider the economy. There are ongoing discussions at the White House, for instance, about what to do about the awful jobs numbers. "No one wants the states in bad shape as we head into the midterms," says an adviser. They also don't want to be seen proposing Son of Stimulus, because that would look like a) the stimulus didn't work and b) the price tag would be unacceptable. So they're looking for a third way, and they're about to glom onto something that makes sense: propose ideas the GOP can't refuse. Multiple sources say they're considering, for instance, enhancing tax credits for small business to jump-start hiring. How can Republicans refuse that? Sources say the White House is also looking at extending unemployment benefits and health benefits for those still out of work. That costs a bundle, so they're looking for budget offsets. But again, will Republicans vote against that? And my sources also say they are working on a plan that would provide the states with "temporary" loans, perhaps in the form of increased Medicaid reimbursements. But this time -- unlike the stimulus money -- states could decide whether they wanted to accept the money. The challenge, of course, is paying for all of this -- particularly given the nation's concern with growing deficits. But if Republicans are on board with some of the ideas, half the battle is won. The Obama White House may have missed its opportunity to call the GOP's bluff on health care -- although it's not too late to come up with a slimmed-down version that could get some Republican support. And the president has to do what he believes he has to do on Afghanistan, no matter where the GOP comes down. As for the economy, well, he can call their bluff. Just saying no has been a great strategy for the opposition. The president needs to find a way to get them to yes. It's not where they want to be, but it's a new slogan that might work for the country: Yes, they can.